Have fun while you drive in style with an all-new VW Tiguan from Quirk Volkswagen in Manchester NH. Drive with class in a brand New Volkswagen Tiguan at Quirk Volkswagen in Manchester NH. The VW Tiguan is the fun-to-drive SUV with lot’s of options and premium craftsmanship. Find your new Tiguan at our New Hampshire VW dealership located in Manchester where we proudly serve the communities of Concord, Merrimack, Nashua, Tilton, Keene, and northern Massachusetts. 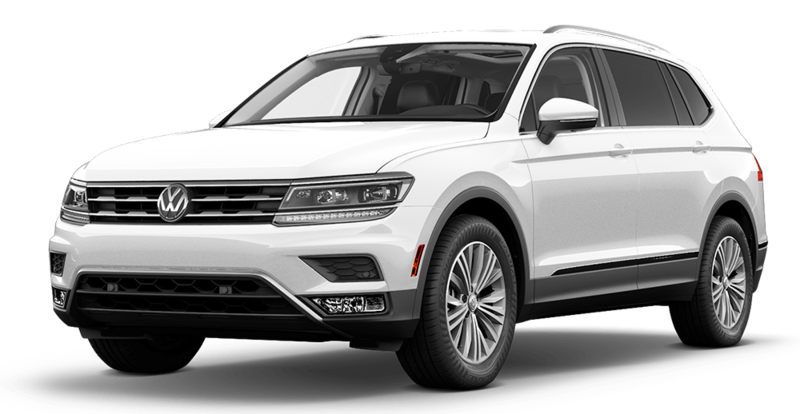 At Quirk Volkswagen in Manchester NH we want nothing more than to see that excitement and satisfaction in our customers, which is why we offer the largest inventory of new Volkswagen Tiguan Models at the best prices. If you are looking for low lease payments or finance prices on a New VW Tiguan, then Quirk VW is your Volkswagen Tiguan Dealer in NH! $2999 Cash or Trade down, 36 months, 7.5K miles/y. Title, acq., reg. doc. additional. Extra charges may apply at lease end. Residency restriction apply. Destination and handling not included in MSRP pricing. VIN: 3VV0B7AX6KM052801. To qualify for owner loyalty or conquest lease incentive you must have current registration on a vehicle newer than 2005. With approved credit incentives. See dealer for details. Subject to program change without notice. $299 documentation fee not included in final price. By submitting you agree to our terms and conditions. By submitting you agree to our terms and conditions. Sale ends 04-30-2019.